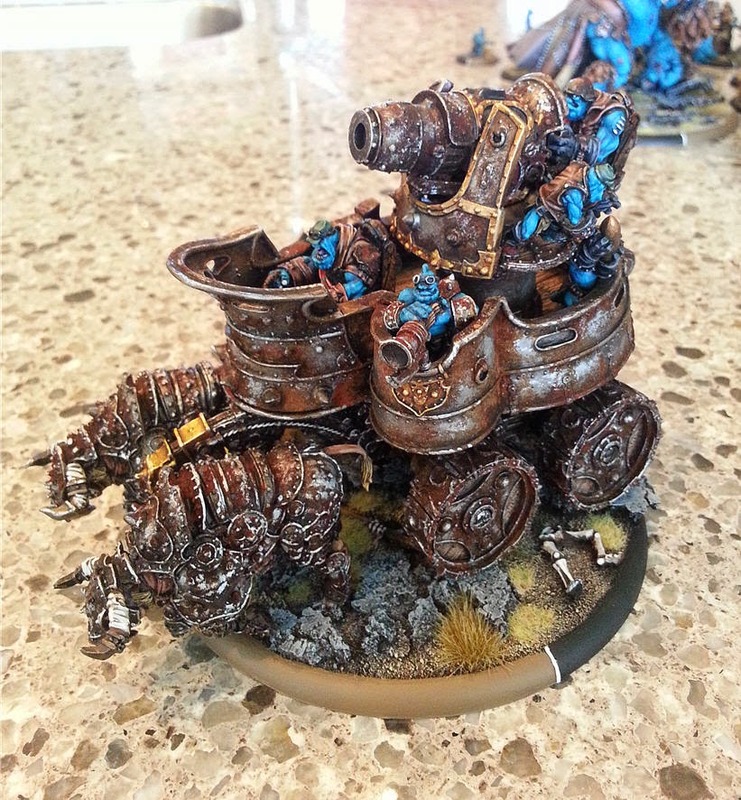 Legio Minimus: Troll War Wagon...Finished! Despite not having posted anything in quite a while I have actually been very busy painting. My family was away for almost 2 weeks so I ended up painting 2-3 hours ever night and most of the days on the weekend. 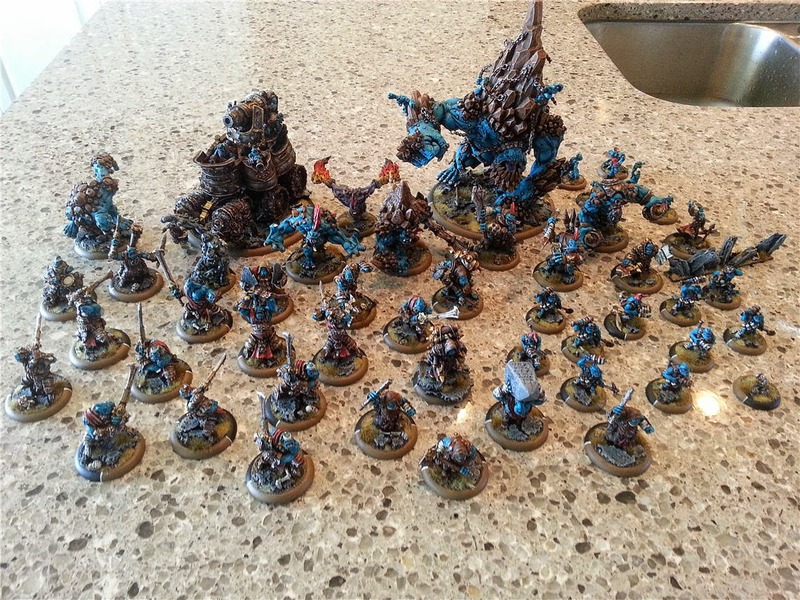 I finished 2 full units (1 for Trolls and 1 for Retribution of Scyrah), some beasts and a few solos. Felt really good to make a dent into my Warmachine Projects. I am now roughly 50% done the Trolls which is great. All my beasts are done, the Battle Engine is finished and almost all my solos are finished (just two more). After that I am going to alternate painting the Warcasters and units. 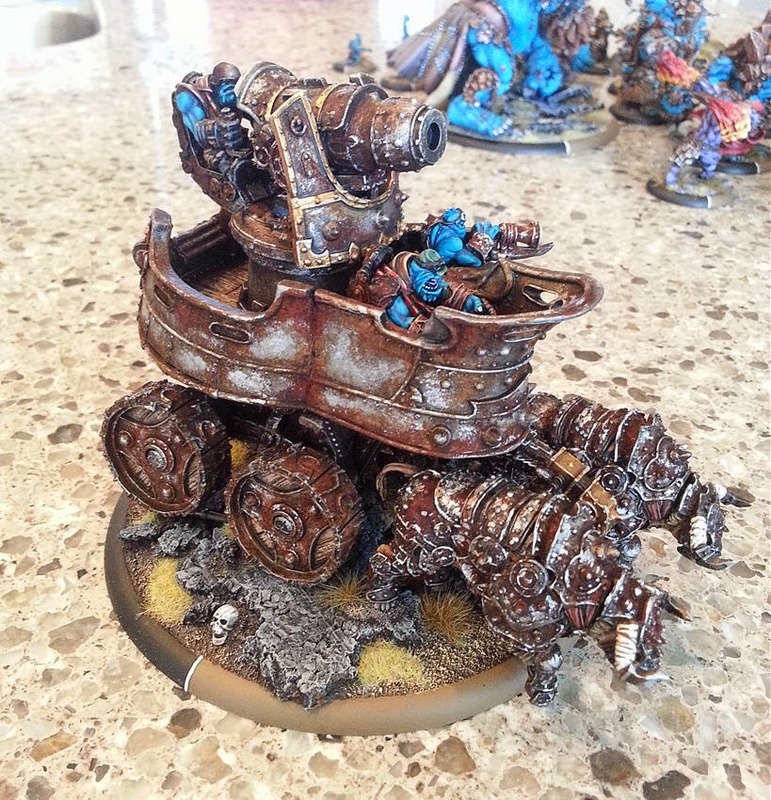 Here are some shots of the finished War Wagon. I can't find my usual lighting display so sadly shots with the phone on my kitchen counter will have to do. Here is a quick group shot of what the army looks like to date (48 models total). Awesome Rust effects man! You're army's looking sweet.